Known for his reflexes, Gordon Banks was one of English soccer's most revered players after helping the team win the 1966 World Cup on home soil. 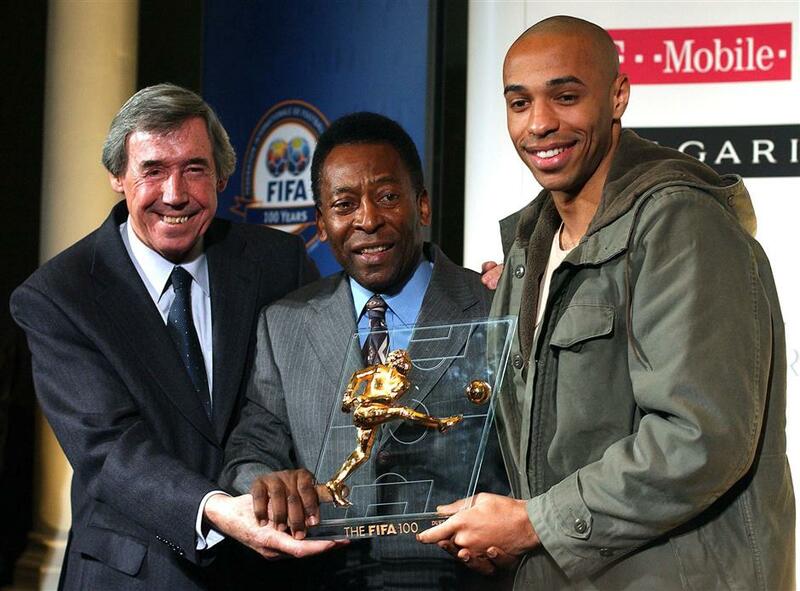 Brazilian football legend Pele (center) and former England goalkeeper Gordon Banks present Arsenal's French striker Thierry Henry (right) with a trophy to mark his inclusion in the FIFA 100 top players at a news conference in London in this March 4, 2004, photo. English soccer club Stoke City, one of Banks' former teams, posted a statement from his family on Twitter on Tuesday. "Gordon was a fantastic goalkeeper and I was proud to call him a teammate," former England teammate Bobby Charlton said on the Manchester United Twitter account. "He will be deeply missed." "Banksie," as he was known, was already in his 20s when he started his club career by making his debut for Chesterfield before spells with Leicester City (1959-67) and Stoke (1967-73) in the top division of English soccer. He won the League Cup with Leicester and Stoke.